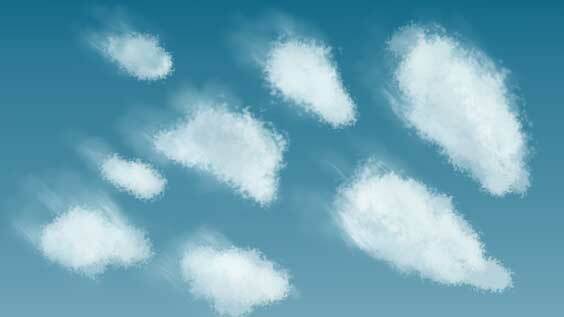 Cirrus clouds often evolve from the virga of altocumulus or cirrocumulus clouds. Cirrus clouds can also be formed from the remaining upper part of the cumulonimbus. During this formation the cloud undergoes glaciation, which means the water droplets become ice crystals. Clouds can sometimes look quite sturdy and solid but due this glaciation process the clouds gets a more softer appearance. The appearance of the cirrus cloud reminds me sometimes of a picture of water plants waving in a creek. The same principle is valid for cirrus clouds, they are slowly waving in the air stream on 6000 meter elevation. Cirrus gets this appearance because ice crystals are falling slower than water droplets and the ice crystals form long strands. 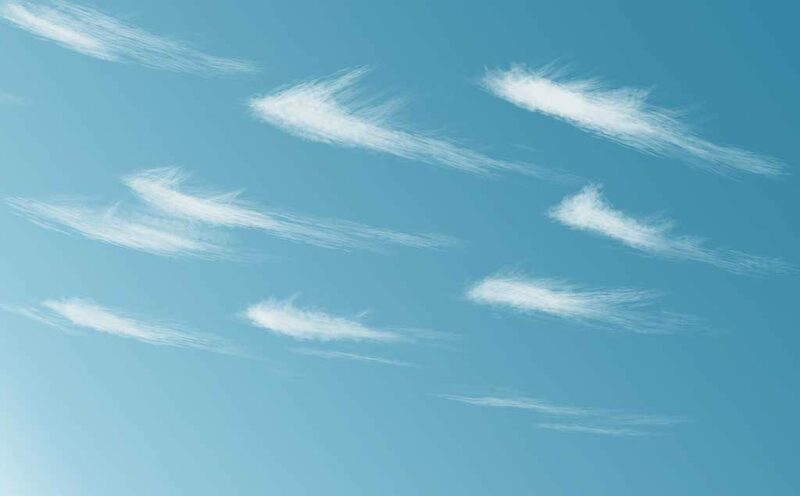 The speed and direction of the wind determine the shape of the cirrus cloud, the strands can be stretched out in two direction horizontally and vertically. 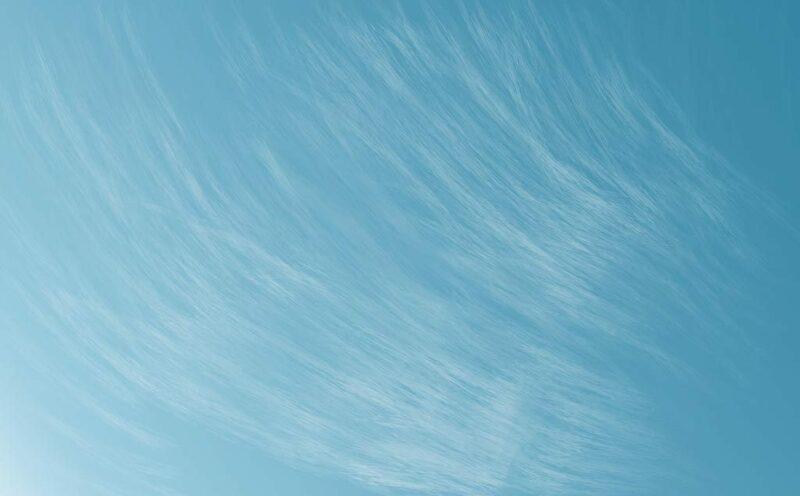 If you look up and admire the cirrus clouds it can appear they do not move at all, this is due the big height. The speed can actually be higher than lower clouds, but the slow movement can be explained due to the distance from where we admire this type of clouds. Because the streaks can all have different shapes and sizes the cirrus clouds are differentiated in several species. It was also a real surprise for me cirrus clouds can have such variance in appearance. I tried to paint every species of cirrus with a definition and some facts below in alphabetical arrangement. There are in total five species of cirrus clouds, all beautiful in their own way. Cirrus Castellanus can sometimes look like a small cumulus humilis lost high up in the sky. It is a fairly dense cirrus clouds with small bulges on top of the cloud. Its appearance has a almost flat base with falling strains of cirrus below it. Cirrus floccus looks like floating little cotton balls in the sky. The floccus cloud is often accompanied by cirrus trails. 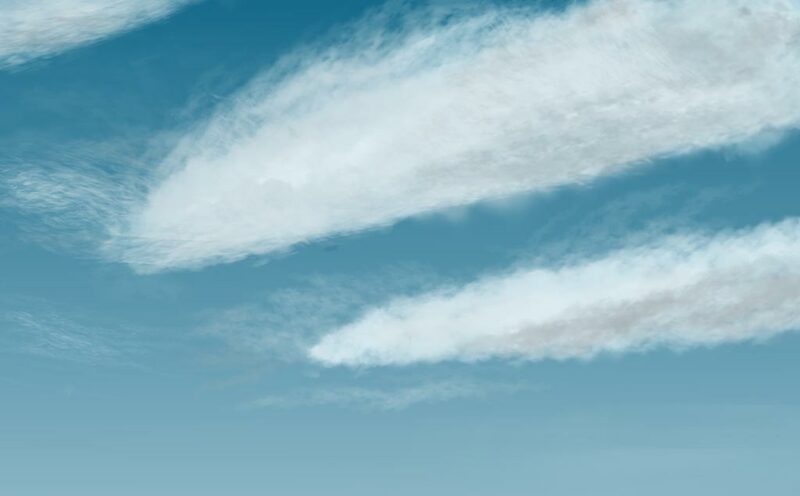 Cirrus fibratus does not have any bulges, hooks or other irregularities. Fibratus clouds look like fibers in the air, which are nearly straight and can be easily distinguished from each other. Cirrus spissatus is more dense and can look like a cumulus cloud high up in the sky. It does not have any bulges and has a greyish bottom. Often cirrus spissatus forms from the top part of a cumulonimbus. Cirrus uncinus has a lot familiarity with cirrus fibratus. Only the uncinus clouds have irregularities which can resemble some hook shapes.